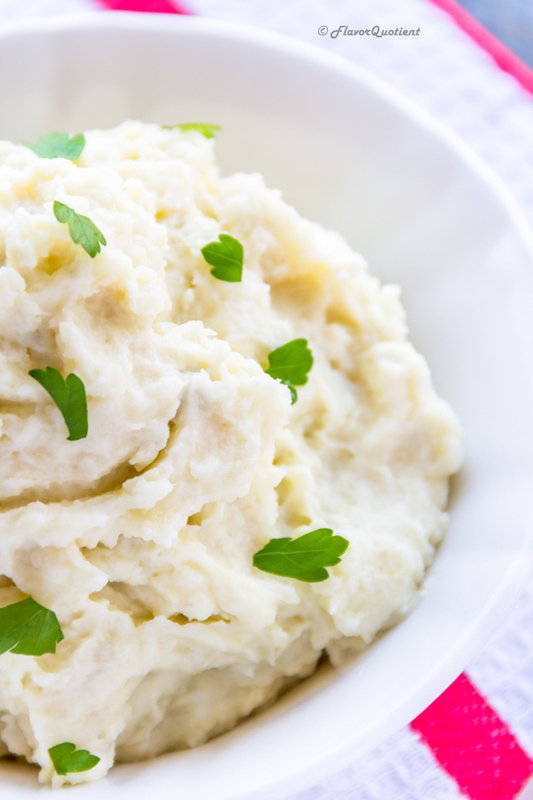 This luscious mashed potato will melt in your mouth instantly and complement your roast chicken to the utmost perfection! 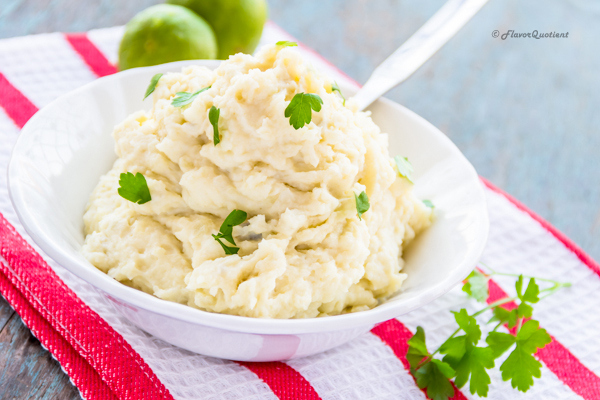 Whiz this perfect mashed potato for a perfect family dinner! 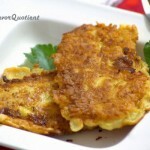 Internet is breaking with mashed potato recipes these days thanks to the Thanksgiving Day! This is good for us potato loving species because who would want to lose this opportunity of rewarding himself/herself with a generous serving of superbly creamy and smooth mashed potatoes with that sizzling piece of roast chicken! But I guarantee, you be a potato lover or not, you would simply fall for this perfect mashed potato and would not be able to resist yourself from going for the second serving! Or third! Well, you got my point! There is nothing left to say about the awesomeness of mashed potatoes or how best it pairs with the roasted meat. I agree, enough has already been discussed. And at the end of all the discussion, you have to experience this goodness on your own to feel the actual pleasure. I really don’t have anything new to say except only to urge you not to miss this perfect mashed potato in your life! 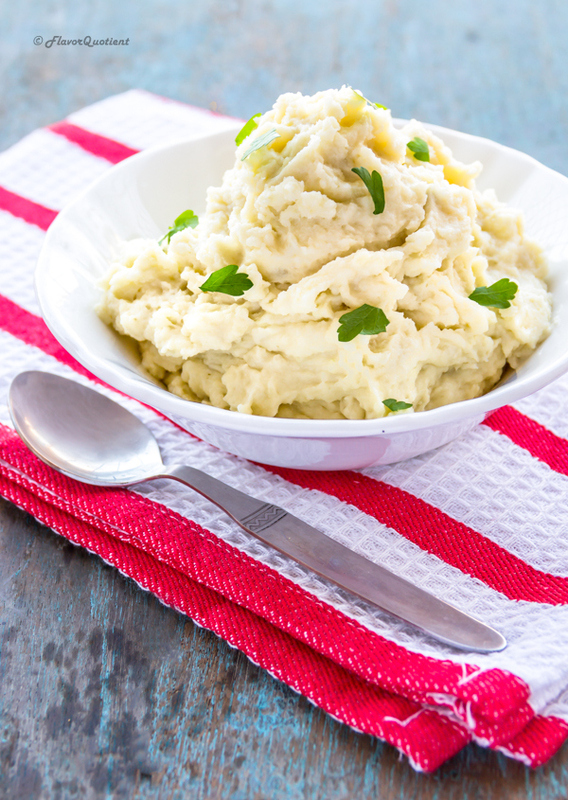 We had a delicious roast chicken last week and this mashed potato pairs extremely well with it. 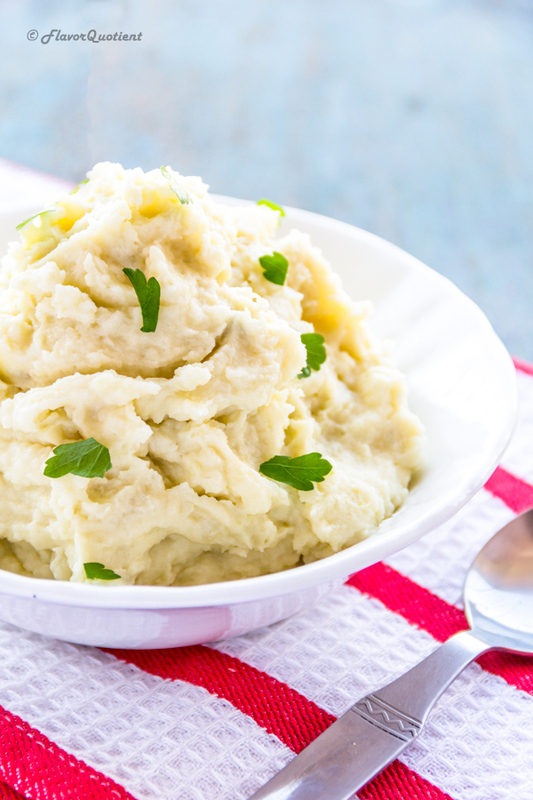 While the chicken is roasting, you can whip up this creamy mashed potato in a jiffy. It does not take hell lot of effort which is another reason of loving it more! 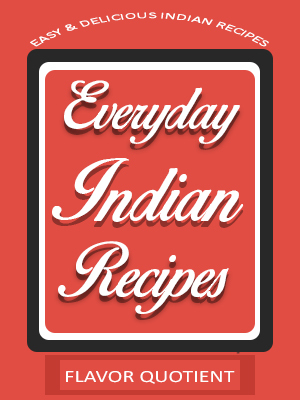 Well, you guys must also check out my another favorite version of mashed potato in Indian style which is a family favorite. It is something that we grew up on and it spells comfort food to us! 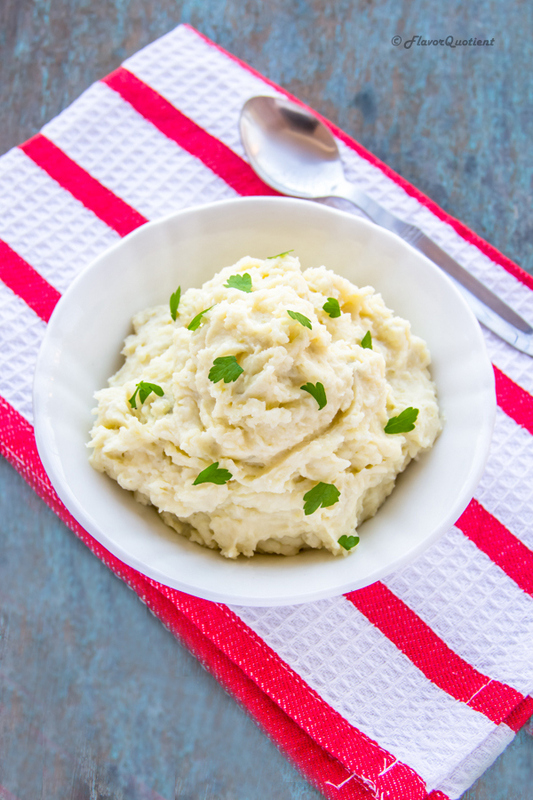 I bet you will like both my versions of mashed potatoes – the smooth & creamy and the one with a spicy kick! I kept it very basic this time but you can play with flavors as you desire. 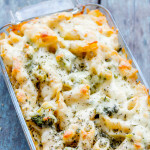 This requires only few ingredients which means you can whiz it up any given day! And on the day you are feeling naughty, you can play it up in your style. 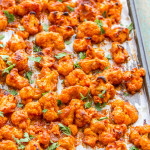 You can add some herbs or other spice mix or just let your imagination fly! 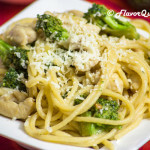 I just sprinkled some fresh flat leaf parsley which incorporated freshness and liveliness. Greens always perk things up, don’t you think so? Enjoy! 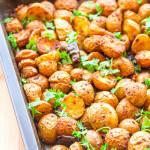 Boil the potatoes in lightly salted water until soft and cooked. Drain and let them cool. Once cooled, peel the potatoes and mash them lightly. Set aside in a large bowl. In a sauce pan, melt the butter. Once the butter is melted, add the cream and mix well. Pour the butter-cream mixture over the boiled potatoes and mash them with a masher. When the potatoes are all broken down, use a strong wooden spoon to beat it further while pouring the milk at the same time. Beat the potatoes until creamy and smooth. Make sure not to overbeat it as it may turn the potatoes gluey. Serve warm with roast chicken.